The question of an Australian housing bubble has been around for the best part of a decade now. 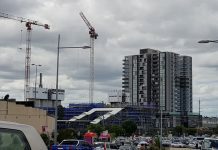 Just when will Australian property bubble burst? Looking at the facts of what is going on in the housing market it is quite clear that we are heading into bubble territory. As said by former CBA CEO David Murrey, we are in dangerous territory and all the classic signs of a housing bubble are there. 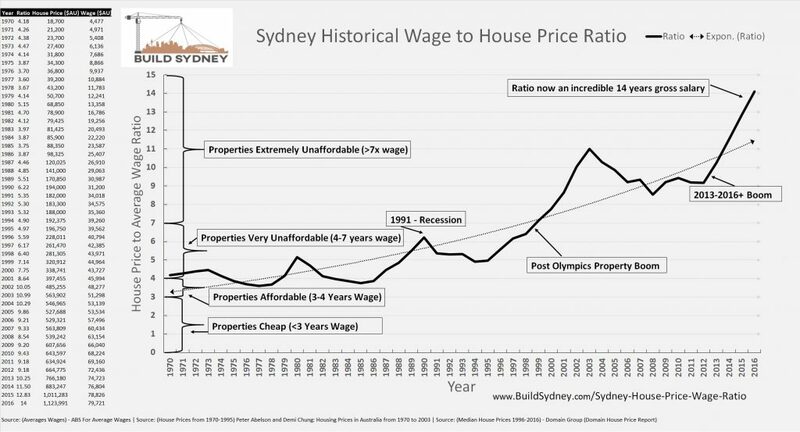 The Graph below by Build Sydney clearly indicates that there is a direct correlation in homes becoming less & less affordable for the average salary worker. 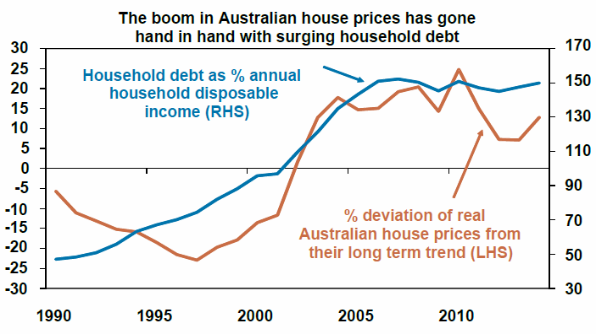 As their debt increases then so do prices, it is a direct relationship which is could be partly responsible for the boom in housing across the Australian continent. This is a worrying graph as it conveys that the main driver of house prices has been cheap credit thanks to record low-interest rates currently at 1.5% (as of January 2017). 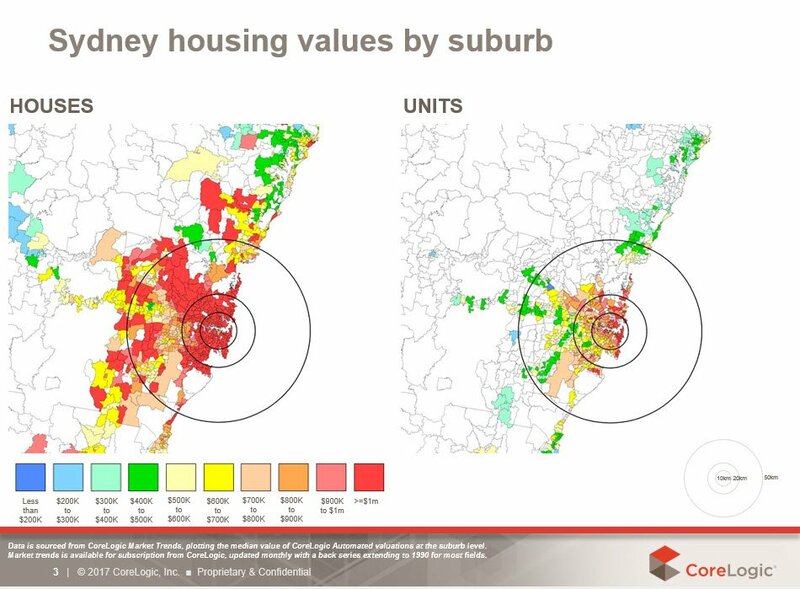 This clearly indicates that the house prices have been driven by an increase in mortgage debt and not from natural factors within the economy indicating property values are inflated nation-wide. 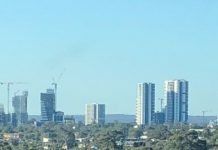 This fact becomes more worrying in cities such as Sydney where the average worker must pay 12.2x the annual salary in order to purchase an average residential property which is normally far from the job hubs and lacks amenities as compared with more expensive suburbs within the Sydney metropolitan area. It is quite clear that working class families are being stretched an the idea of the great Australian dream is looking further and further away. This is a terrible sign for the productivity of the economy being forced to commute up to 2 hours each way just to get to work losing 4 hours per work day. 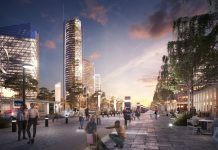 This could be improved with better public transport and less congestion which will be unlikely as the population will grow from the current 5 million to 6.42 million by 2031 according the the NSW Government. 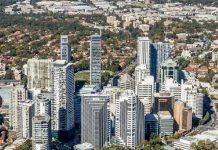 Sydney property prices have grown by 67% from June 2012 until December 2016. It is unsustainable growth which has been led by interest rates reducing from 4.75% in September 2011 all the way down to 1.5% currently (January 2017) which is a record low by the RBA. The facts make it hard to argue we are not in a credit-fueled bubble, but try telling that to the average Australian. What are your thoughts? 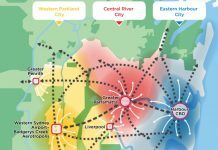 When do you think the property bubble will burst in Australia? Our guess in sometimes during the 2019 fiscal year. The CCP holds everything in the balance . If and when they stop buying , prices should come back to reality . Then the youth of Oz may have a chance again . But maybe things have gone to far and there is no coming back . Especially in Sydney . Tragic , how in the space of thirty years , we have gone from being the best to the most unfair place in the world . The middle class is gone , replaced by a two class society , 10% rich and 90% struggling . Shame . Hey there, its quite a shame. The young generation do not stand a chance, we are doing some research into the amount of people in their early 20s living at home & the numbers are shocking but with property prices so high its completely understandable. If there is no middle class then the whole system falls apart, and we cant let that happen. I agree, a prosperous society can’t function when the average person cannot afford to buy the average house (literally).